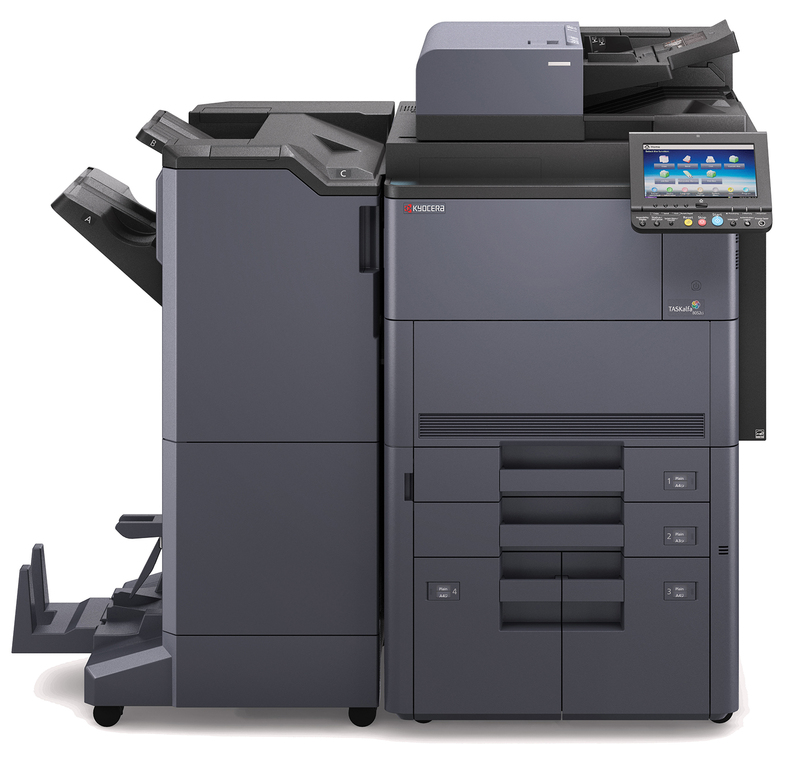 The TASKalfa 8052ci/7052ci are powerful Color MFPs that tackles the most demanding print, copy, scan and optional fax tasks with ease. Designed as a high-volume document processing hub, the TASKalfa 8052ci delivers vibrant, crisp output at up to 70 pages per minute in color and 80 pages per minute in black-and-white. Fully customizable, the TASKalfa 8052ci/7052ci supports added paper drawers, professional in-line finishing, advanced EFI® Fiery Controller and Kyocera’s robust suite of integrated business applications. This product covers all the bases designed with a user-friendly interface, exceptional scalability, ultra-reliable and exceptional long-life Kyocera technology.